From Director Karyn Kusama (‘Aeon Flux‘, ‘Jennifer’s Body‘) comes a thriller that will ratchets up the unease minute by minute. 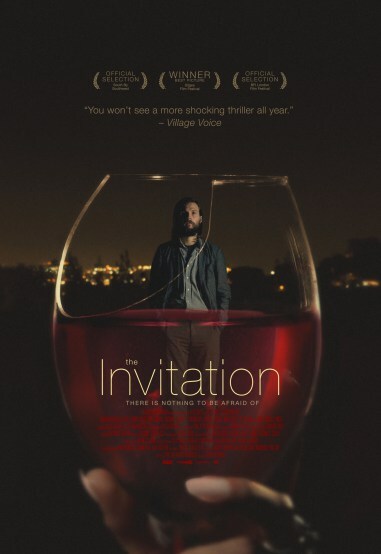 ‘The Invitation‘ stars Logan Marshall-Green (‘Prometheus‘) , Michiel Huisman (‘Wild‘), John Carroll Lynch (‘Shutter Island‘) and Emayatzy Corinealdi (‘Middle of Nowhere‘) and debuts on April 8, but you can check out the trailer below. Will (Marshall-Green) and Eden (Tammy Blanchard) were once a loving couple. After a tragedy took their son, Eden disappeared. Two years later, out of the blue, she returns with a new husband… and as a different person, eerily changed and eager to reunite with her ex and those she left behind. Over the course of a dinner party in the house that was once his, the haunted Will is gripped by mounting evidence that Eden and her new friends have a mysterious and terrifying agenda. But can we trust Will’s hold on reality? Or will he be the unwitting catalyst of the doom he senses? See Kevin Smith’s New Horror Movie Trailer of “Red State”!!! This entry was posted on Thursday, February 11th, 2016 at 2:30 pm	and is filed under Film, News. You can follow any responses to this entry through the RSS 2.0 feed. You can skip to the end and leave a response. Pinging is currently not allowed. « Jared Padalecki Is IN For ‘Gilmore Girls: Seasons’!! !